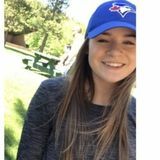 I am a 21 year old student pursuing a Bachelor of Psychology degree at Memorial University, living in the Halifax area throughout the summer. I have experience babysitting for multiple families within my community over the past 8 years. As well, throughout the summers --... I have nannied occasionally for 4 children April- August, filling vacation time and sick days of their regular nanny while working part-time elsewhere, and I worked as a full time nanny for 3 children in summer 2018 Duties included preparing meals, putting the kids to bed, homework help, juggling after school activities and over night stays. My hopes for this spring are to find a family requiring full time or part time care. I look forward to finding the perfect fit to enjoy an active summer with your children!